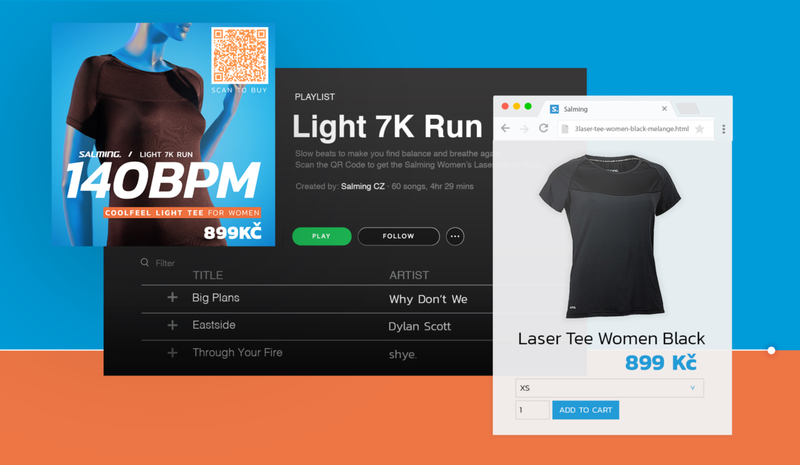 SPOTIWEAR — Using Spotify playlist's cover art to sell from running shoes to flouroscent reflective vests. Advertising like "Watch this short video to get 15 minutes of uninterrupted listening", made runners block brands with the Spotify’s AD-FREE PREMIUM plan. 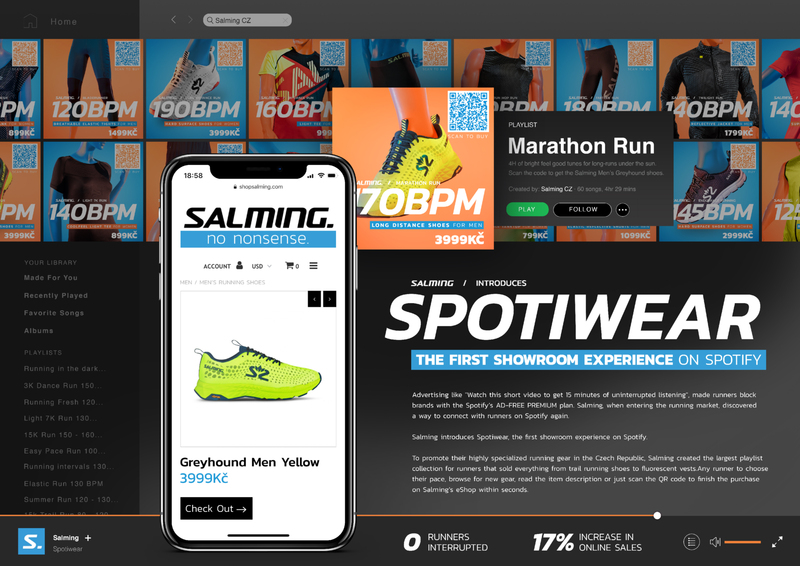 Salming Sports, a European-leading sports brand in floorball and handball gear, when entering the running market, discovered a way to connect with runners on Spotify again. 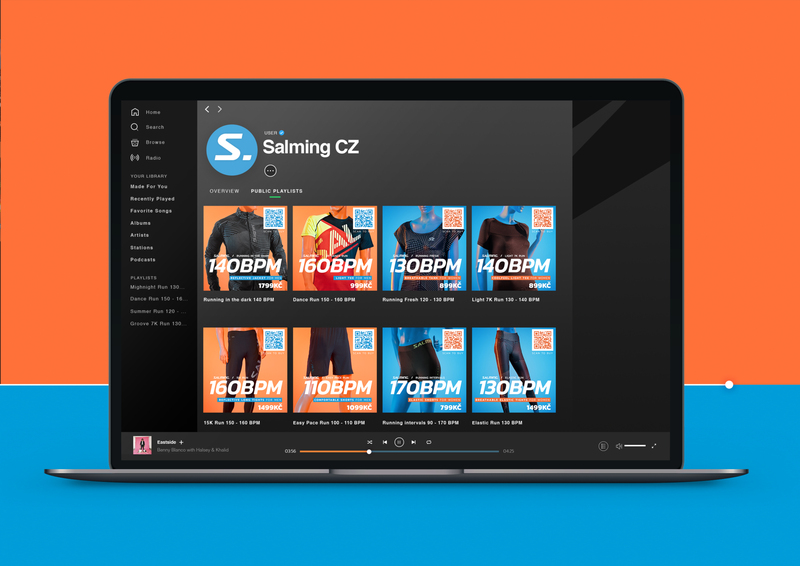 To promote their highly specialized running gear in the Czech Republic, Salming created the largest playlist collection for runners that sold everything from trail running shoes to fluorescent vests. 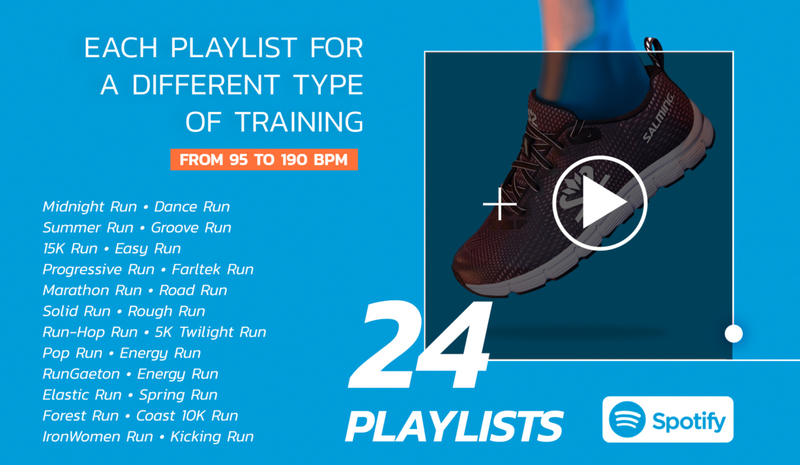 By curating 24 different playlists based on types of training, specific BPMs, music styles and unique playlist cover arts with the best product for each type of run, Salming segmented runners into different profiles. 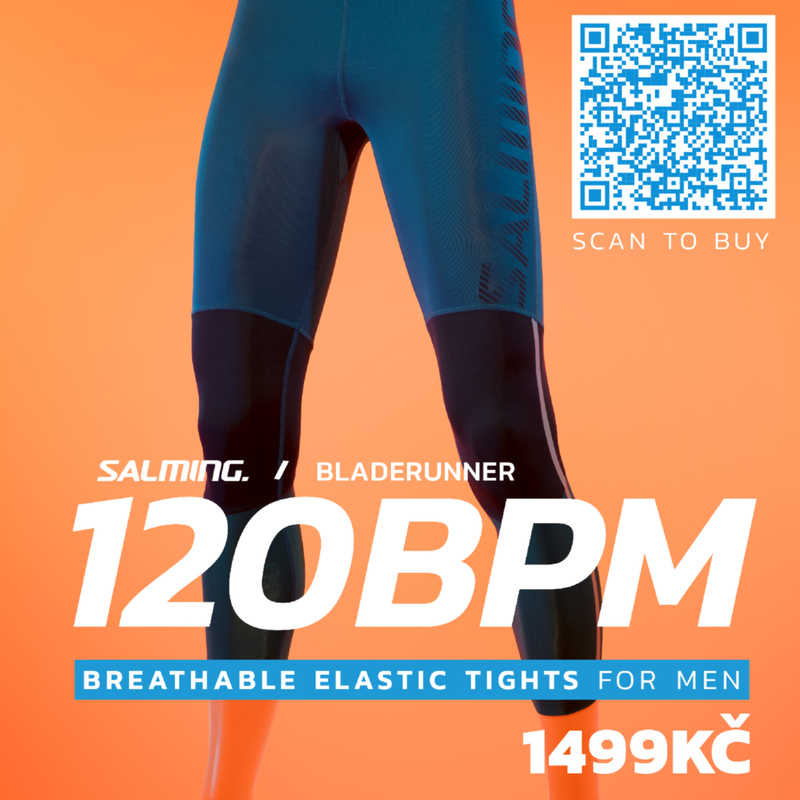 Whether an Amateur or PRO runner training for the Czech Marathon, Salming welcomed any runner to choose their pace, browse for new gear, read the item description or just scan the QR code to finish the purchase on Salming’s eShop within seconds. 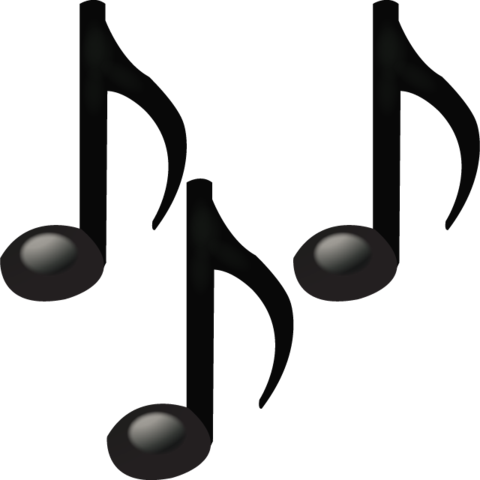 0 runners interrupted, 0 media invested on Spotify, and 17% increse in online sales.